The Ford Model T assembly line is often cited as a world-changing example of productivity. Outlook rules may never have that honor but it’s a great productivity tool if tweaked properly. Outlook’s rules can truly serve as an assembly line for all your incoming email management tasks. Think of rules as traffic cops who direct and move (email) traffic and streamline the flow. Rules are specific sets of instructions that are applied to messages under a specific set of conditions. Rules are applicable for messages as well as RSS feeds. All Outlook rules broadly are of two types – those that deal with organizing your emails by moving it around and those that notify you when some action occurs. The best things about rules are that they can be selectively applied, applied in combination, automatically run or even run manually. Think about it, in the absence of rules, we would have had to spend considerable time sifting through the emails by hand one at a time. 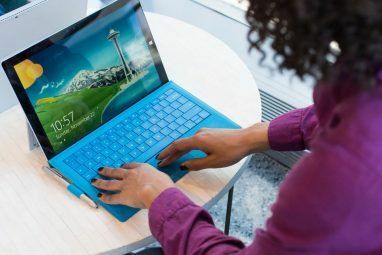 One of the most often used application for rules are when you want to organize emails in Outlook and move emails to a folders automatically as they land in the inbox. The obvious benefit of shunting emails automatically is cleanliness and organization. The rule is best suited for mails which arrive frequently – like newsletters, email updates or feeds. Such mails are usually kept in “˜storage’ for later reading. So, creating personal folders for such mails are the first thing, creating a system to automatically organize those emails into these folders is the next. Setup a folder or folders for saving the emails (e.g. Job, Family, Pals, and Newsletters etc). You can create a rule directly from a message. Right-click on the email you want to automatically move to the special folder. Click on Create Rule. In the Create Rule box that opens up, you can select one or more conditions and the follow through actions by checking the boxes. As shown, you can screen the email by sender address (or distribution list), subject and/or recipient. You can also set a sound alert or a desktop New Item Alert for the incoming mail. To move the email to a specific folder, checkmark Move the item to folder. Click on the Select folder button to select the folder or click on New for a new one. Click on OK to confirm the new rule. 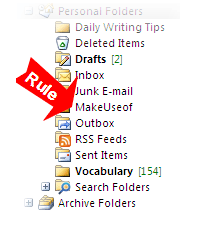 All emails satisfying the new rule will get moved automatically to the folder from now. If you instantly want to run the rule, check Run this rule now on messages already in the current folder. Further fine-tune the rule if you want by clicking on Advanced Options. The advanced option wizard lets you select other conditions, select a range of actions to perform on them and select exceptions to the rules if any. The rules setup concludes at the final screen where you can specify a descriptive name for the rule, turn it on and review it for any changes. So, thought of interesting plays with the rules? Let’s see… you can move mails with attachments to another folder but with an exception that it’s within a set size range. Another good use is to assign a priority level to incoming mail so you can deal with the more important ones first and leave the rest for later. 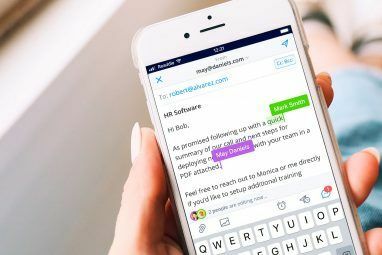 Alternatively, instead of selecting a single message to start a new rule, you can also start create a rule from scratch using the wizard by opening it from Tools – Rules and Alerts – New Rule. In Step 1: Select a template. Under the entries of Stay organized, select Move messages from someone to a folder. In Step 2: Edit the rule description – click on the underlined link for people or distribution list to set the From address filter. Next, click on the specified folder link to set the target folder. The next sequences of steps are the same as in the Advanced Options wizard. Many interesting automatic actions can be performed on your emails with a combination of different rules. Remember, rules are performed in sequence as shown in the Rules and Alerts box. Rules can always be edited at any step and also their order changed. For speedier processing, combine some of your rules with common actions and organize the order in which they are to be triggered. For special cases, you can set the Stop Processing action after a specific rule has run. Rules are a faster way to better manage your emails and keep some aspects of your inbox on auto-pilot. Outlook 2007 rules are a flexible way to free up a lot of email management chores. Do you use rules to as productivity boosters? What are some of the unique cases you apply them on? Learn more by watching the Microsoft How-to video here. My question: is there any functionality in term of "View" that will enable me to se all emails from folders combined together - "like unsorted view". Yes. Maybe, this tip I came across will help. Let me know if it works...I haven't used Outlook for sometime now. Couldn't duplicate your problem unfortunately. Could it be because of the change in version? This article is from 2009 after all. I will be starting large scale meeting invitations to a group of 100+ coworkers. I have limited seating available in my webcast of 40 people. *Emails with 'WebCast' in the Subject move to 'Webcast-Nov15' folder. I have been selecting the first 40 'Yes' responses and simply sending a mass reply with their login and code. Is there a rule I can use to send a reply to the first 40 'Yes' responses automatically using a saved template? But did you know there are a maximum number of rules you can create? Has something to do with the total number of characters in your rules. I know from experience. It is amazing how investing a few extra minutes to set up some rules within Outlook can save you a LOT of time down the line. Other ways I use rules, besides those emails I regularly receive from people who are just cc'ing me, and newsletters, (great tip there), is for LinkedIn requests, new Twitter subscriber updates, Facebook messages, and all other social media related updates. I also suggest emails with 'reminder' in the subject line, are safe to send to a folder, for review at the end of the day. Using rules is one of the many great tools Outlooks offers, that I don't see enough people using. 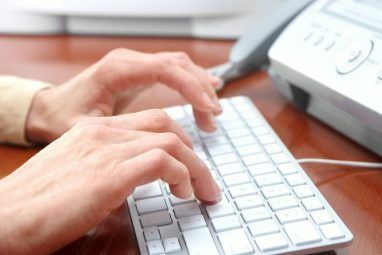 Great article if you suffer from email overwhelm! You have the same trick also for ThunderBird? Also check out these two articles that I wrote a few months back on MUO. It briefly talks about message filters on Thunderbird. And how to access your emails both online and offline. This is useful method to move the outlook emails to personal folder automatically, sometimes I also dragged the email directly to the folder that I had created in order to archive it. This is true that Outlook's rules enable to improve the speed of incoming emails management.